I've had the past on my mind a lot lately and I've really been trying to figure out how to organize it. 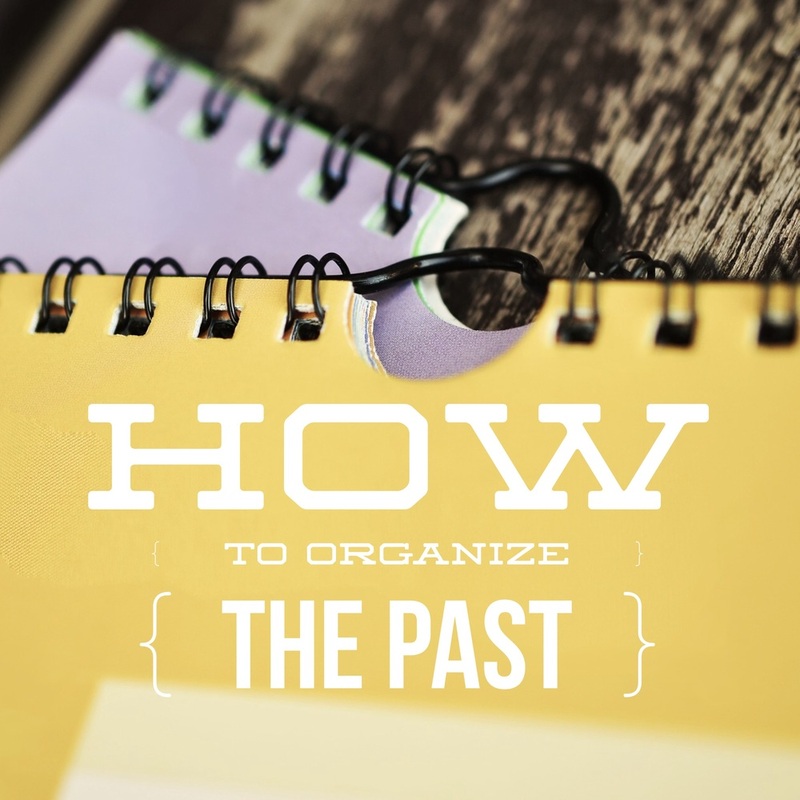 That's actually a big part of scrapbooking - organizing your memories! When you look at piles (or folders) of photos, it can be overwhelming. Top that all off with trying to figure out how to add in details of life + memorabilia + events and so on... well, it's too much to think about for most of us. I have more than 40 years of my own life to sort through. I have a husband and two children as well. I won't even get into heritage scrapbooking at this point. I've been scrapping for a long time, but I don't feel like I am anywhere near to having an orderly record of my life or even one for my children. What I'm really longing for is an illustrated personal history. That's what I want my memory keeping to be at this point. My photos from 2005 are digital so I can automatically sort them by date and I can see the date in the metadata so I always know when they were taken. Because my photos from 2005 are digital, I don't have to worry about scanning old photos, but I do have some other documents and memorabilia that I want to scan. It's a better starting point than the beginning of my life because I would have to ask my Mom for every detail regarding that year. Ten years ago is still somewhat close enough to the current day that I can remember some things. I can also ask those around me about some of the details. I'm still sort of celebrating the fact that I've been blogging for ten years! You have to start somewhere! Why not 2005? I figure if I can get the ball rolling, I can get the last decade organized and documented. Even if I never get "caught up" on the scrapbook pages for 2005, at least I will have the memories written down. Feel free to pick your own starting point! I was not doing my monthly roundups back in 2005 so I don't have that as a resource. I'm tackling this from the same view that anyone out there should be able to duplicate. Gather all photos that you can find for that year (digital and/or paper) and put them in a central location. Don't worry if you can't locate them all right now. Mark that location! If it's a box, label it. If it's a folder on your computer, label it and then back up a duplicate copy! Read my advice on digital photos organization and review my general organization tips. Create a document to keep with these things. It can be a piece of paper you keep in your box. It can be a WORD file you keep in your folder for the year you are working on. Utilize the internet! Get ready to search Wikipedia and use your search engine to find out the news and events for that particular year. If you type a year into your internet browser, you will find a list of sites with information relating to that year. Decide on a limited time frame to work on this project. It can be a day, a week, or even a month. You won't be able to possibly "finish" everything you really want to get done, but you will need to have an ending point or you will never move on to another year. • Popular movies, tv shows, books, music, etc. • Favorite movies, tv shows, books, music, etc. • Amount of your mortgage/rent, car payments, tuition, etc. I'm off to do some 2005 detective work!